The new zBoost Metro ZB540 will be a new version of the old zBoost Metro YX540, and will come with a window mount panel antenna, 50 ft of RG6 cable (the old kit had RG59-mini cable, which had considerable more signal loss), ZB540 base amplifier, power supply, and a whip inside antenna. 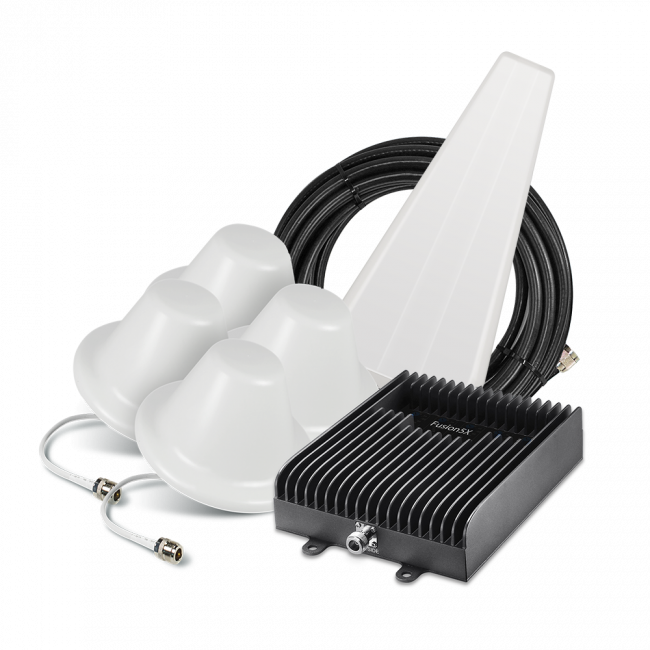 The kit will have a system gain of 58 dB (CEL) and 64 dB (PCS) and is designed for situations where you are not able to mount an outside antenna and need to boost signal throughout a small area. The new zBoost SOHO ZB545 will be the FCC certified version of the bestselling zBoost SOHO YX545, and will come with a wire omnidirectional outside antenna, 50 ft of RG6 cable (the old kit had RG59-mini cable), ZB545 base amplifier, power supply and a whip inside antenna. The kit will have a system gain of 62 dB (CEL) and 64 dB (PCS) and is designed for apartments, small homes and small offices with a maximum coverage of 2,500 sq ft. The body of the new zB545 will also be all white with just an orange logo, as opposed to its predecessor, which sported a combined white and orange body unit. The zBoost SOHO Max ZB545M is a new product that features a more powerful version of the base ZB545 amplifier and includes a more robust fiberglass omnidirectional outside antenna, rather than the wire omnidirectional that comes with the ZB545. It also includes a 35 ft RG6 cable, 15 ft RG6 cable, window pass-through cable, and a barrel connector, in order to provide the customer with different options to run the cable into the building from the outside. The kit also includes the ZB545M base amplifier, power supply and a whip inside antenna. The kit will have a system gain of 63 dB (CEL) and 69 dB (PCS) and is designed for medium size homes and small offices with a maximum coverage of 3,500 sq ft. The body of the ZB545M will be all white with a blue logo on top. The zBoost SOHO Max ZB545X has the same high powered amplifier as the ZB545M and robust fiberglass omnidirectional outside antenna, but it also includes a panel antenna for the inside antenna, rather than the standard whip antenna. This allows the ZB545X to cover significantly more area, including multiple floors, than the ZB545 or the ZB545M with the same outside signal strength. Additionally, the ZB545X includes the different cable options that the ZB545M does, to allow the customer as many options as possible to run the cable into the building. The kit will have a system gain of 68 dB (CEL) and 77 dB (PCS) and is designed for larger homes and medium size offices with a maximum coverage of 5,500 sq ft. The body of the ZB545X will be all white with a blue logo on top. The new zBoost TRIO ZB575A & zBoost TRIO ZB575V kits will boost the 2G, 3G and 4G LTE networks for either AT&T or Verizon, depending on which kit you choose. The AT&T kit will also boost the AT&T 4G HSPA+ network. These kits will be the tri-band versions of the new ZB545, and will have all of the same components that are included in the ZB545 kit. Each kit includes the wire omnidirectional outside antenna, 50 ft RG6 cable, ZB575A or ZB575V base amplifier, power supply and a whip inside antenna. The kit is designed for dorms, apartments, small homes and small offices with a maximum coverage of 2,500 sq ft. The body of the TRIO amplifiers will be black and white with a red logo on top. The new zBoost ZB645SL & ZB645SL-CM kits are designed to be solutions for large homes, offices and industrial applications. They each include a CANT-0042 yagi directional outside antenna and either a panel or ceiling mount dome inside antenna. Each kit also contains the multiple cables and window pass-through to allow as much installation flexibility as possible. Each kit includes the CANT-0042 yagi directional outside antenna, a 35 ft RG6 cable, two 15 ft RG6 cables, window pass-through cable, barrel connector, ZB645SL base amplifier, power supply and either a panel inside antenna or a ceiling mount dome inside antenna. 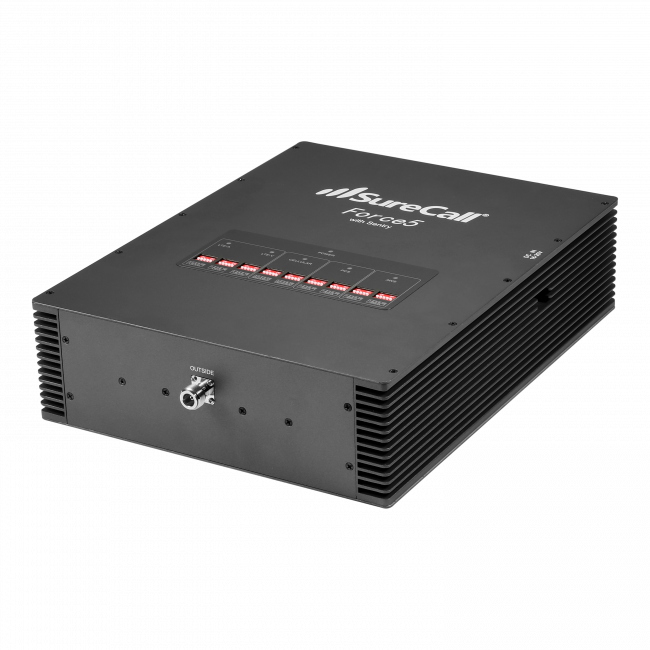 The kit will have a system gain of 75 dB (CEL) and 84 dB (PCS) and is designed for large homes, large offices, and some industrial applications with a maximum coverage of 10,000 sq ft. The body of the ZB645SL will be all white with a blue logo on top. 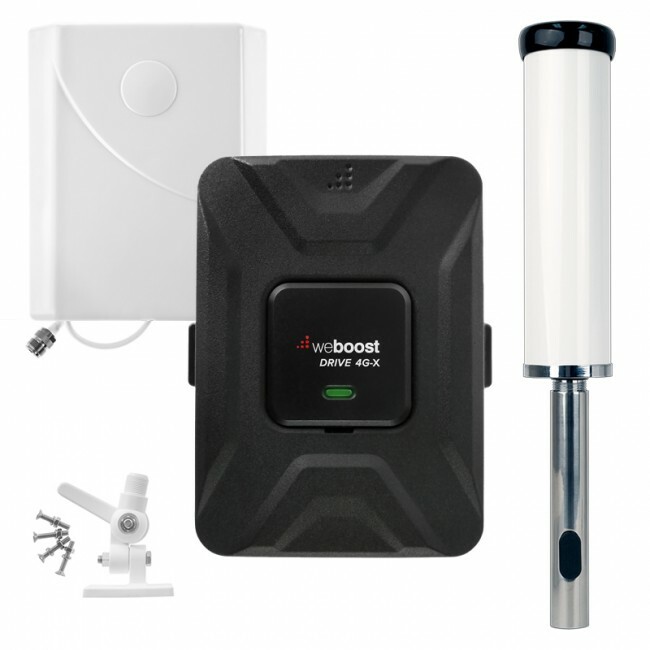 The new products that will be offered by zBoost in the coming months will be able to address a much broader range of situations than have previously been possible, including larger coverage areas and more networks, while satisfying the new FCC guidelines coming into effect on March 1st, 2014. 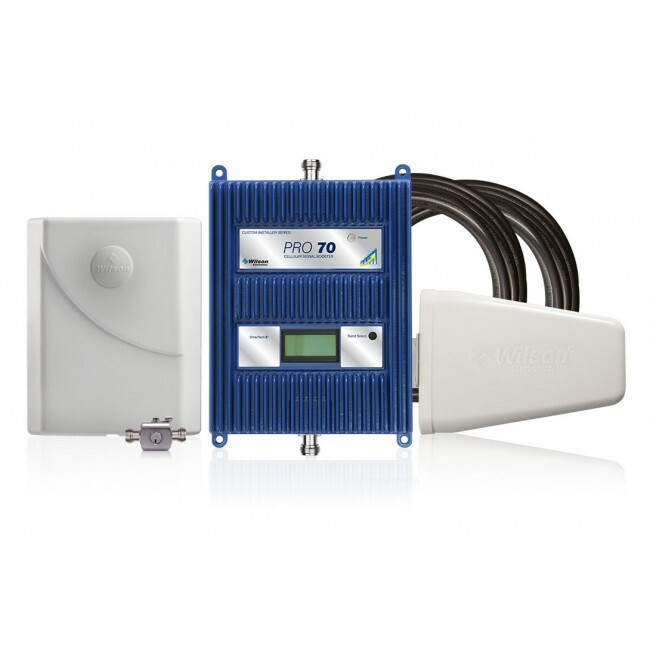 If you’d like to learn more about these upcoming products or existing products that will solve your signal booster needs, please do not hesitate to contact us at support@ubersignal.com or call us at 1.800.590.3564.